As chemistry teachers around the country head back into their classrooms and begin planning activities for their students, AACT will be highlighting resources from our high school resource library that can be used to reinforce topics in different units throughout the school year. We’re beginning the year with articles, videos, simulations, and activities that could be used to support a Chemistry Basics unit. In the fall of 2017 we posted a list of resources and articles that could be used to help teachers start the school year. Since then, we have added several more resources that you might consider trying with your students. Additionally, we have put together a unit plan that uses many of our resources to help you teach an introductory unit on chemistry basics. The Hazard Symbols activity from the May 2018 issue of Chemistry Solutions is a great way to familiarize your students with common hazard symbols and their meaning. As optional extensions to this activity, use chemical containers that contain these hazard symbols as examples for your students. You could also share an example of a MSDS with students as part of a discussion about these hazard symbols. 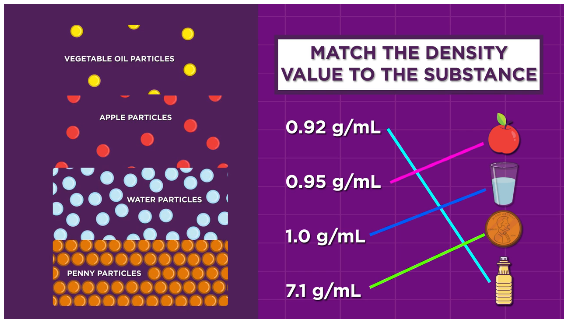 If you use the lab, Investigating the Density of an Irregular Solid Object, to help your students learn about writing a lab report, you might also consider using the Density animation to introduce this concept to your students. Visit our Multimedia library to see the wide variety of videos, simulations, and animations that we have available to help your students understand the concepts they will learn throughout the year. Use the lesson plan, How To Write a Formal Lab, to teach students how to put the parts of a formal lab report together. Having students familiarize themselves with this format will expedite teacher grading. 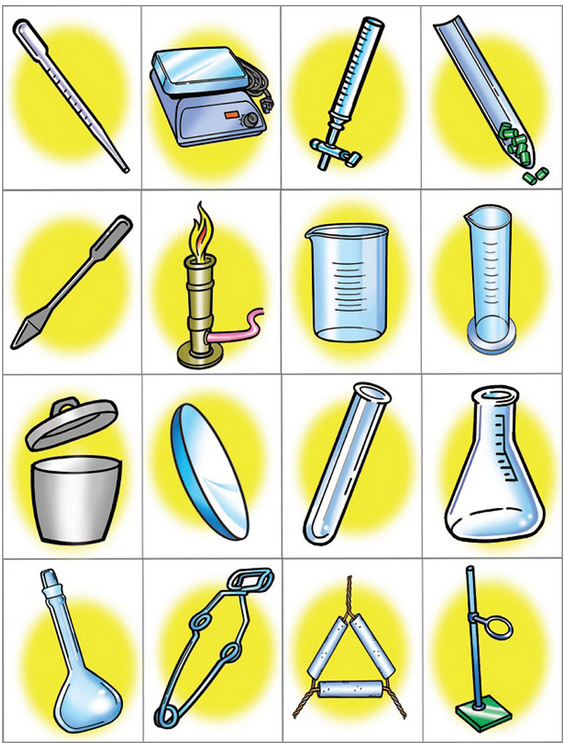 The Laboratory Equipment Memory Game from the March 2018 issue of Chemistry Solutions is a fun and effective activity to help your students learn about common lab equipment. This resource includes a card template that you can use to print the game cards on stock paper. Reuse the cards from year to year by laminating them and then storing them in zip-lock bags. Students explore the properties of matter with the activity, Categorizing States of Matter, which has them analyze both written statements and images that describe the properties of a solid, liquid or gas. Students then determine which state of matter the description best describes and categorize it accordingly. The Visualizing States of Matter activity has students view, sort and classify pure substances and mixtures into the 3 common states of matter found in the laboratory. They then discuss their classification system with their teacher and peers. This resource is aligned with NGSS. Introduce the Periodic Table to your students with The Scavenger Hunt lesson from our PTable.com Investigations activity. Students will investigate a large number of topics, from physical properties to the history of the elements. The lab, Chemistry in a Bag, will help students distinguish between chemical and physical changes, identify evidence of a chemical change, and understand the difference between exothermic and endothermic reactions. Students also use this lab to understand the Law of Conservation of Mass. We hope that these resources can help you to reinforce several of the topics covered in a unit about Chemistry Basics. Most of these lessons were made possible by great teachers who shared their own resources. We need your help to keep the collection growing. Do you have a great demonstration, activity, or lesson related to this topic that you would like to share with the community? Please send it along for consideration. Investigating the Density of an Irregular Solid Object.